Andrew Rapo and Alex Michael explain all the important programming concepts from a designer's point of view, making them completely accessible to non-programmers. Completely revised and rewritten this second edition will help you develop professional ActionScript 2 applications, and communicate knowledgably about current, Object Oriented ActionScript 2 techniques. 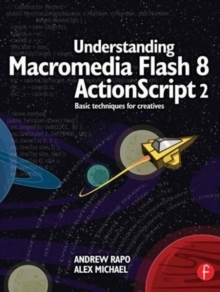 Divided into four sections to take you from novice to professional results:* Flash Fundamentals: Introduces the Flash authoring environment and basic core Flash concepts. 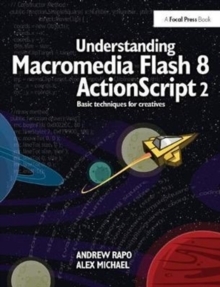 * ActionScript 2 Fundamentals: Explains basic programming concepts and terminology, and shows how ActionScript 2 classes are constructed and used. * Built-in Classes: Describes the built-in ActionScript classes that are available for use in applications, including the MovieClip class, Key class, Sound class, etc. * Using ActionScript to Build a Game: Describes the development process for creating a complex Flash application and presents commercial-quality game coding examples.